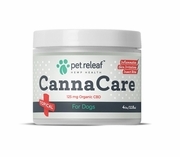 Pet Releaf Canna Care Topical is a soothing CBD (Cannabidiol) Hemp Oil topical for dogs. 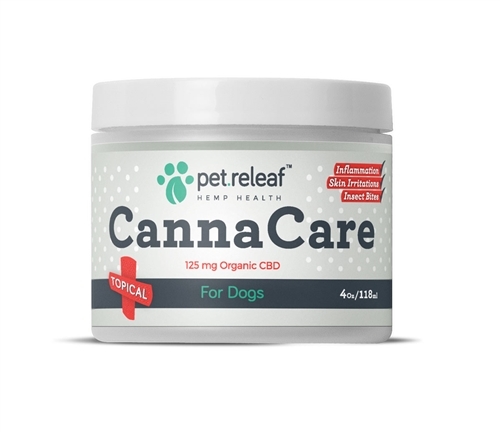 This is a more concentrated form of CBD oil formulated for dogs in need of a higher dosage. Derived from the PR-33 proprietary strain of certified organic hemp grown specifically for pets. The entire plant (seeds and stalk) is used in the extraction of CBD hemp oil and provides all the benefits of CBD along with providing a multitude of additional benefits provided by the terpenoids and flavonoids. Apply directly to the skin when needed.